The shih tzu beside me licks her paw in response. I nod in perfect agreement. She’s right— this is gonna be good. 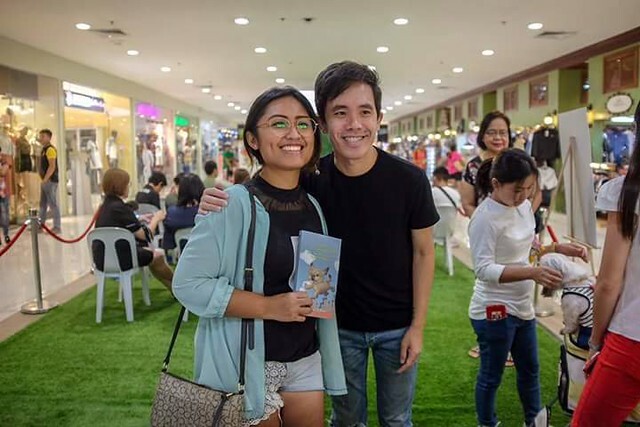 Book lovers, pet lovers, and their fur babies gathered last September 1st for the launch of Brandy Pooh’s Time Traveling Adventures: The Legend of the Fourteen Shih Tzus by Janice Perez— the first offering from Cebu-based publishing startup, D&Co. Publishing. This delightful middle-grade/young adult read is all about Brandy Pooh, a precocious puppy finding his purpose in life and the adventures he encounters along the way. Do those adventures involve a time-traveling trip back to ancient China? You’ll have to find that out for yourself! The character Brandy Pooh is based on the author’s adorable shih tzu poodle mix of the same name. It was hard not to smile at the cute little nine-year-old pupper as Janice warmly tells the crowd about how the whole story came together and how she drew inspiration from her late father, whom she considers “the biggest dog lover ever”. A portion of the sales will be donated to the Cebu City pound to benefit the humane treatment of pets all over the city. Personally, I never thought I’d get to witness a book launch from a homegrown publisher. For local authors, getting their works published can be a very trying experience. Lord knows the hoops these writers have to jump through just to get their manuscripts to the printing press, let alone a publisher who will help them launch and market their works. While I do know a couple of Cebuano authors with books under their belt (hello DA Chan and Kota Yamada! ), their works were mostly products of the self-publishing path. While I’m down for going DIY, self-publishing can be expensive and inaccessible, especially for a lot of beginning writers out there. For a book lover (and aspiring author) like me, knowing that D&Co Publishing is opening new avenues and opportunities for local authors all over the country is very reassuring. It’s a step in the right direction and I am here for it. I believe that Cebu and the rest of the Philippines is teeming with talent and it’s high time to champion that. I’m beyond ecstatic that D&Co. share the same mindset! Brandy Pooh’s Time Traveling Adventures is merely the beginning. The author shared that she’s planning to write four more books in the series. D&Co. is also keen on releasing another book by the end of the year— a travel book that would tickle the fancies of wanderers and artists alike— so watch out for that. This book launch is the first of more book events in the future. I was quite giddy to have shared the stage with Chappy Piramide and Dave Visaya of BookSwapCebu at SM Seaside yesterday. We talked about our love for books and the written word! It was exciting and nerve-wracking at the same time, but I’ll save that story for another post. For now, get your hands on Brandy Pooh’s Time Traveling Adventures and let’s all have fun together! I’m giving away a copy of this book on Instagram, so make sure to check that one out before it’s over.